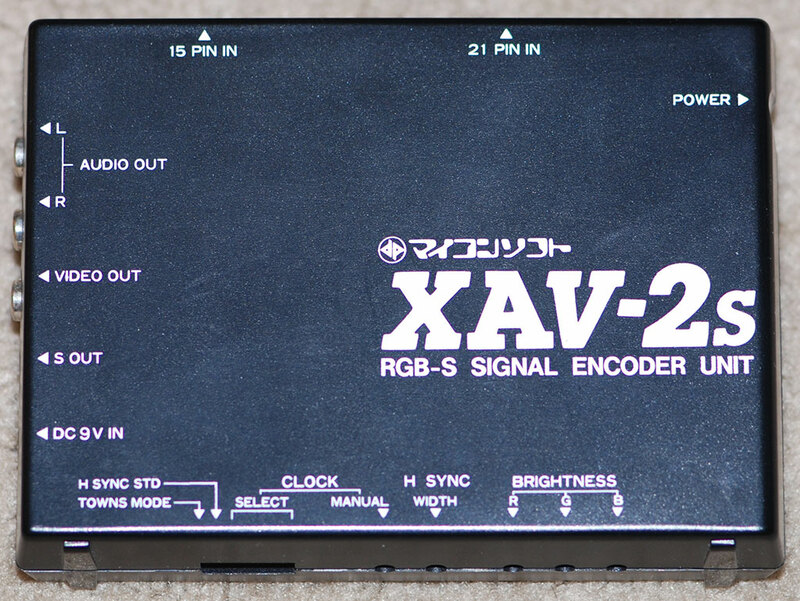 The XAV-2s is another in Micomsoft's long line of video modification products. 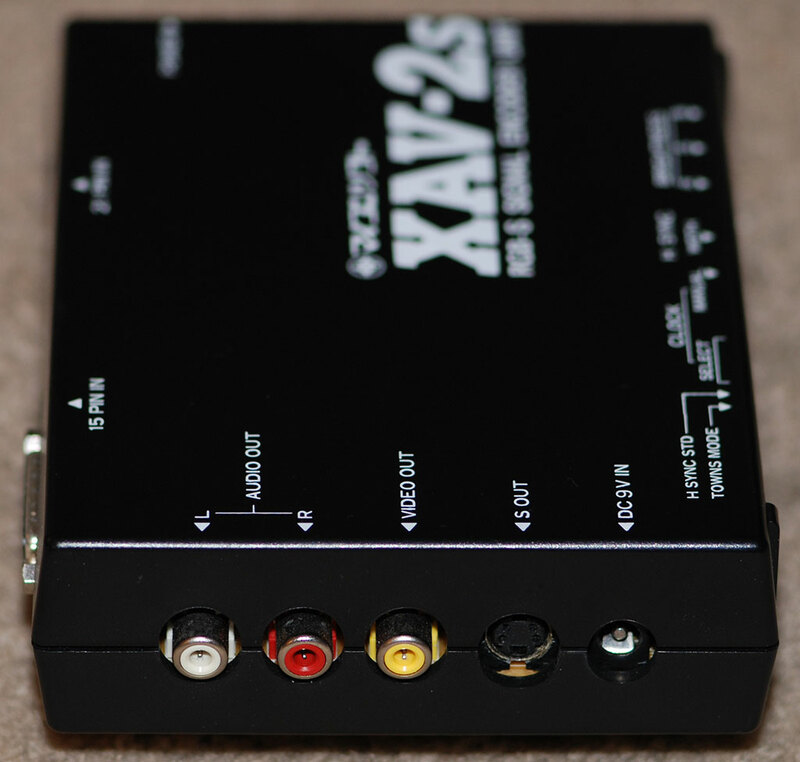 This little box takes RGB15 and RGB21 inputs and puts out stereo audio and composite video via RCA jacks, and s-video. 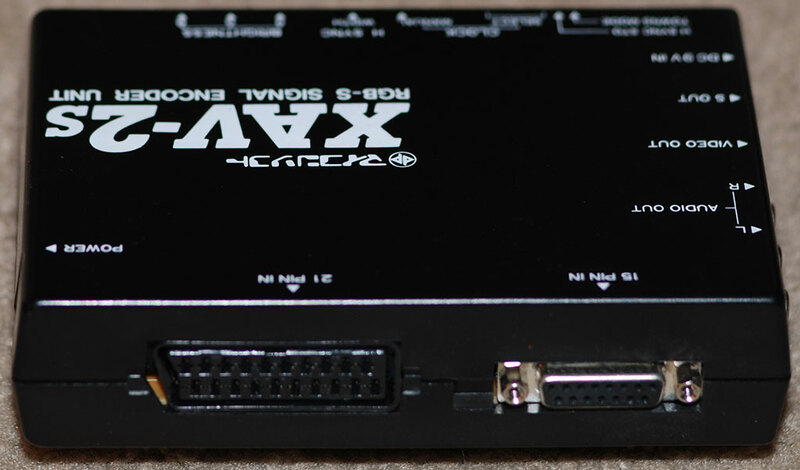 It has individual adjustments for RGB brightness, h-sync width, and several DIP switches for clock adjustment, 'h sync std' and FM Towns mode. There are several models, with different Sony chroma encoders. The power input is 9V, centre positive.